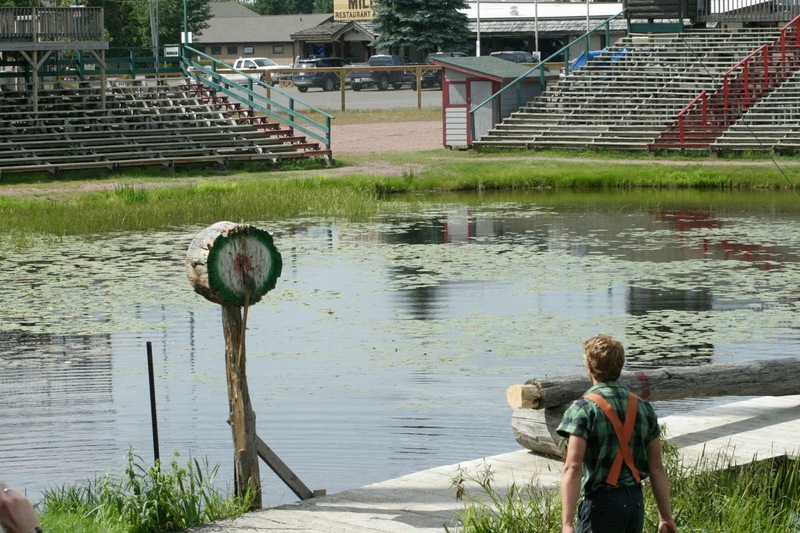 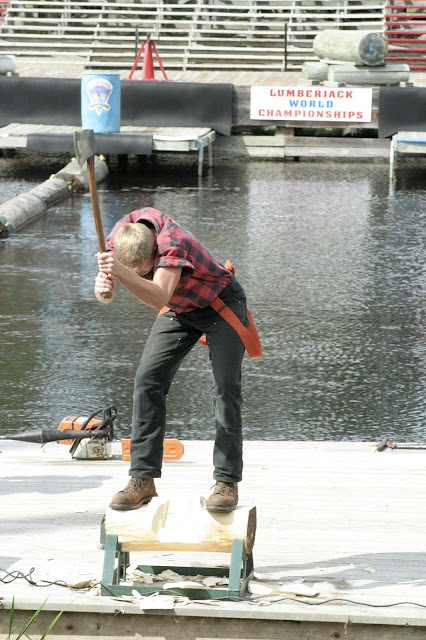 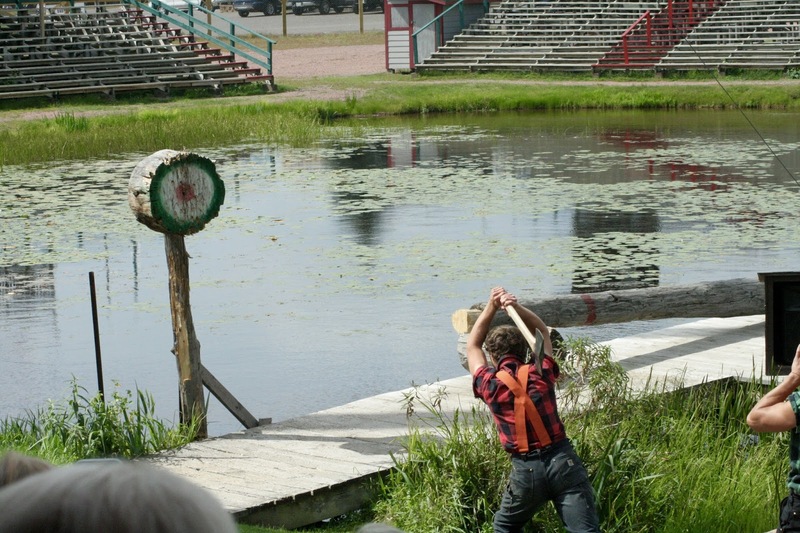 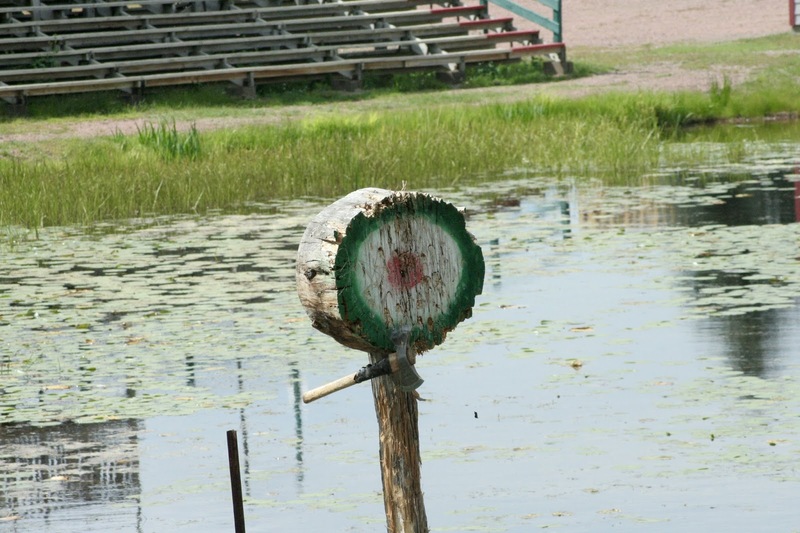 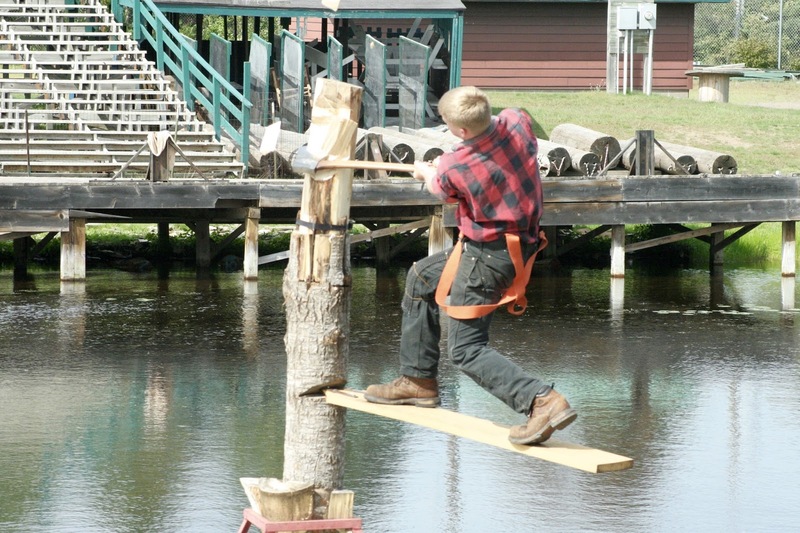 Before leaving Hayward, WI, we took in a lumberjack show. 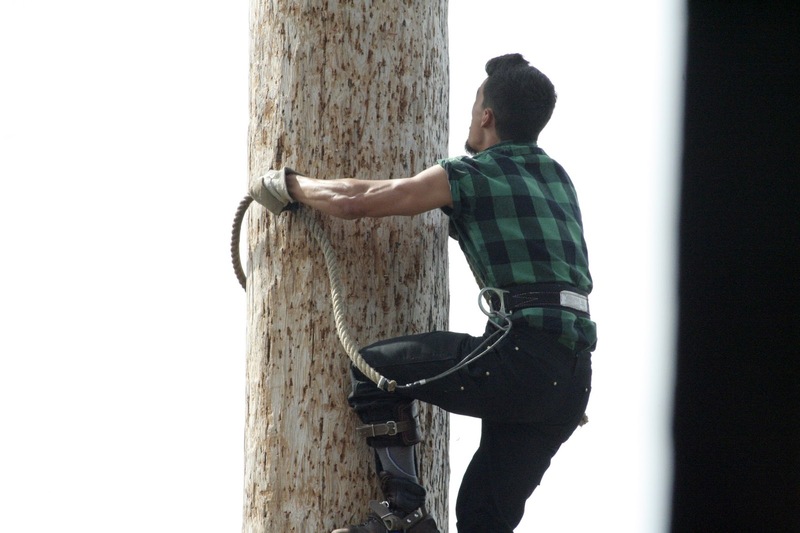 Scaling a 100-foot pole of NOPE. 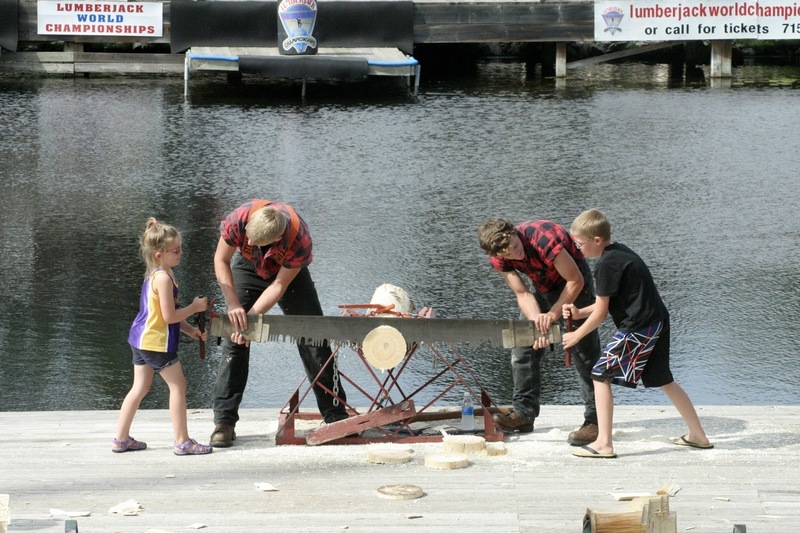 But then, Landen & Madelyn got up onstage to cross-cut with the pros. 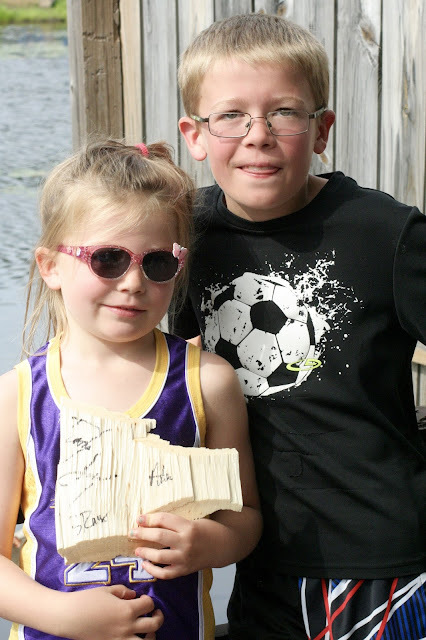 After the show, Madelyn scurried up on stage for a piece of scrap wood that she made the lumber jacks sign for her.